THE changes taking place now in Lae, Morobe province, are quite phenomenal, as I found out when I was back home from December 13-16 to attend the 2012 Ahi Festival. 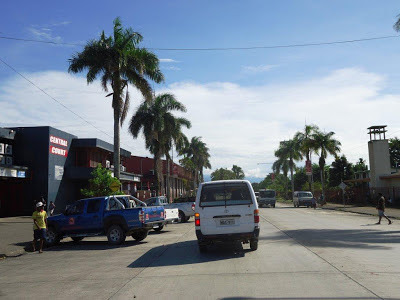 Lae is slowly, but steadily, getting back its "garden city of Papua New Guinea" tag, its infamous potholes are disappearing, and business is booming. Crime and social problems, however, infest this garden of good and evil. Concrete roads of 7th Street. 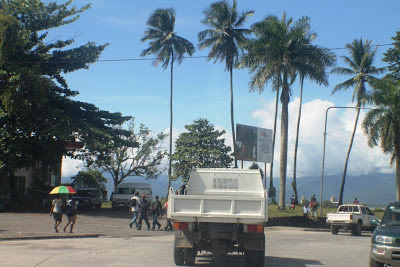 The amount of money pouring into Lae as a direct result of major projects such as the PNG LNG project, Hidden Valley mine, Wafi-Golpu mine, Ramu Agri Industries, Lae Port Tidal Basin, new fish canneries at Malahang, and several others in Morobe, Madang and the five Highlands provinces means that the city is in for a bonanza. The Lae Port is near saturation point, with major stevedoring company, Riback, now using the old Lae Airport as its container yard. 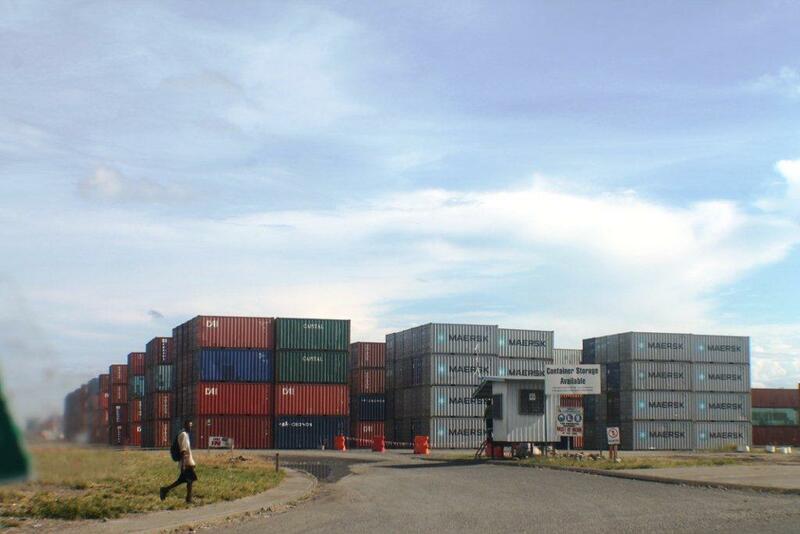 Riback Stevedores' container yard at the old airport. New buildings are going up everywhere, the recently-concreted roads are chock-a-block with brand-new vehicles, and there is an air of optimism in just about everyone I talked to. Lae Chamber of Commerce and Industry, however, believes that there is little control of the current business boom in Lae at the moment. Chamber president Alan McLay said this when I asked him to comment on the boom in business in Lae brought about by all the economic developments. 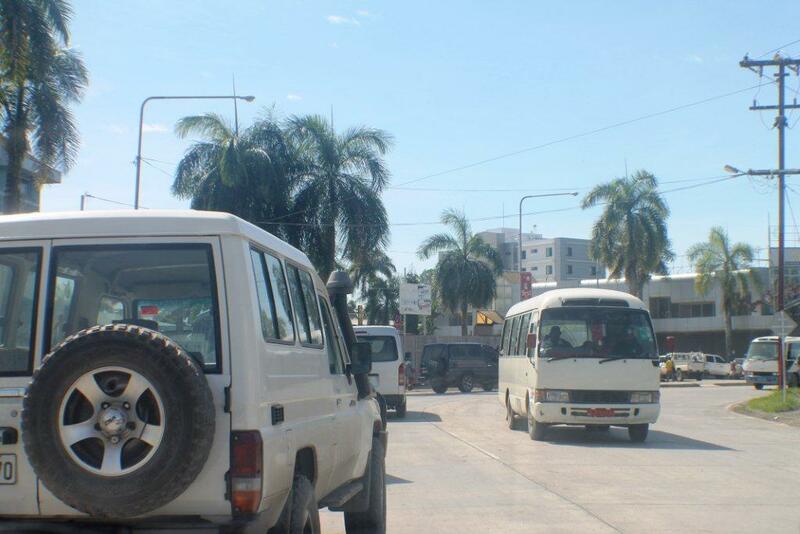 "The so called 'business boom' in Lae is progressing at the moment to meet the demands," he said. "The LNG project has certainly meant more transport and logistics type operations and we have seen major developments of these industries along the Nadzab corridor in recent years. "The government's inability to provide adequate land for development in Lae has meant that companies have directly negotiated land with local communities and individuals in this area, to meet the demands. "Our concern is that this recent development has proceeded unplanned, which brings forth a whole range of issues." •There is no protection for the landowner for unscrupulous dealings, and con artists who will rob them and their families of their future inheritance. "The LCCI believes that there must be an urban development plan for the Lae Urban area," he said. 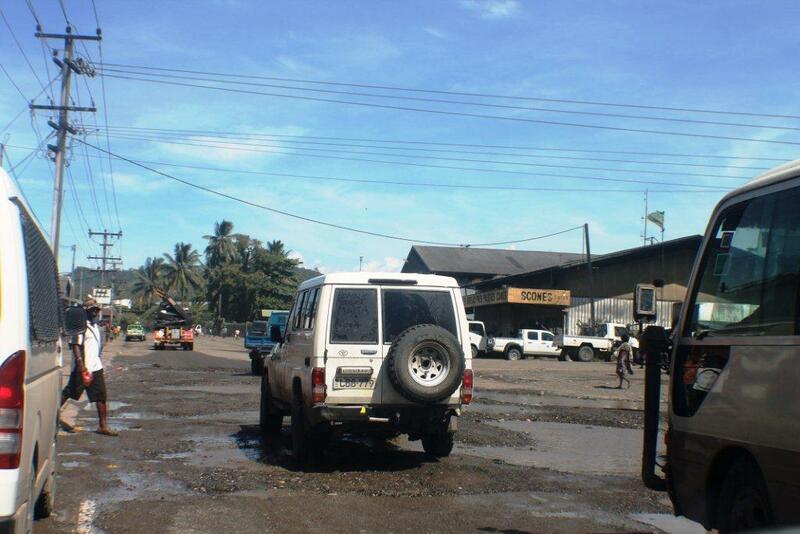 The LCCI also expressed concern at the" near dictatorial control" of the Lae Roads development by contractors. 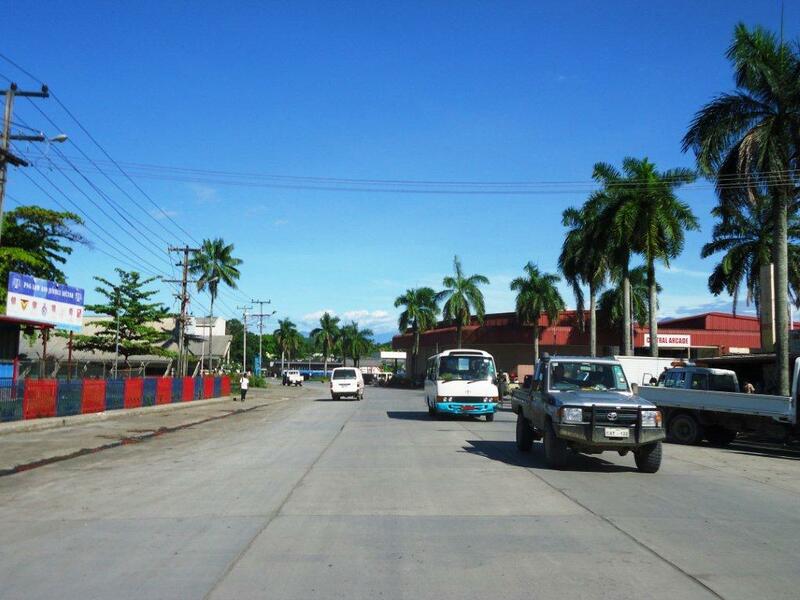 It also wants to see the Lae Urban Local Level Government (LULLG) honor its agreement to maintain roads in the city. •Lack of erection of appropriate and easy-to-see street signs. "The LCCI would like the LULLG to make an effort to honor its agreement to maintain the roads in the city, especially the industrial roads that were graciously rehabilitated by AusAID over a decade ago and the residential road," McLay said. "It would be wonderful to have the old 'pothole gangs' back on the roads, attacking the potholes before they develop into major impediments to the traffic," he said. "We note that the first recommendation of the report on the Lae City Roads Rehabilitation Project (LCRRP) was for the establishment of a provincial management unit (PMU). Drive down the hill from Top Town. 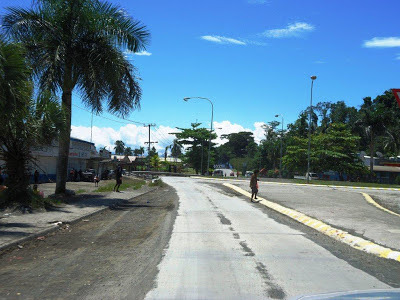 "We would like to see the PMU established, which would consist of local stakeholders, to manage the Lae roads project, to give the roadworks that vital Local and professional input, that is sadly missing from the project at the moment. " 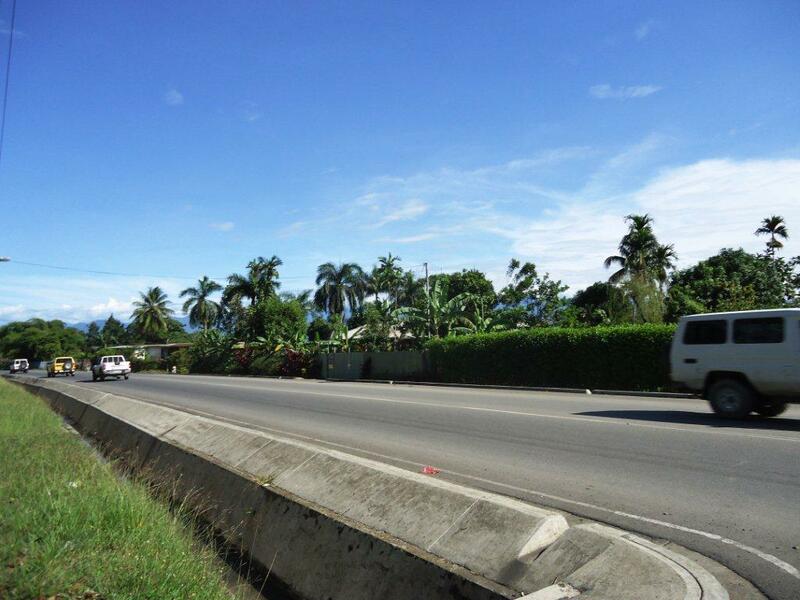 McLay said the chamber was pleased to see work recommencing on Lae roads after the projected was halted for investigation last year. "We are pleased to see the work re-commencing on the Lae Roads under the Lae Roads Rehabilitation Project that was halted after the investigation last year," he said. "We are happy to see a further K100 million allocated in the 2013 budget, which should see the completion of the major trunk roads in the city.
" The benefits of a good roads system to business is enormous : punctuality of staff and less dust related diseases equals less absenteeism; speedier vehicle movement equals less delivery time; less vehicle maintenance and replacements; less crime due to slowed down vehicles, etc." 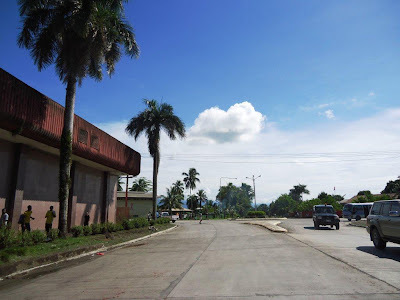 Crime and social problems, however, infest this garden of good and evil, and during my four days there, there was a series of armed hold-ups around town and a major ethnic conflict at the notorious Bumbu Settlement between Sepiks and Morobeans. 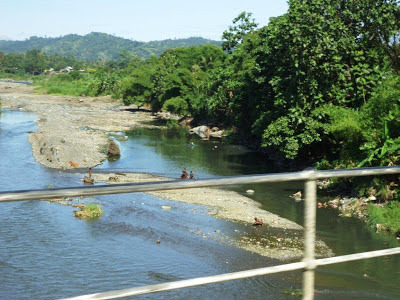 Bumbu River along Butibam Road. The escalating law and order problem in Lae, especially ethnic clashes in urban settlements, irks McLay. "The overflowing settlements and the resulting clashes is a major concern, which is taking so much time and effort by the under -strength and underequipped police, who have found they are left wanting when addressing the normal crimes in the city," he said. "The squatter problem has been allowed to develop unchecked by the previous politicians and administration and now it has become a major issue. "The police alone cannot handle this problem as they are not trained to handle social problems - the politicians and administration must find a way to relieve tensions in the settlements. "The police must be equipped better to combat crime, which is having an enormous upsurge at the moment. 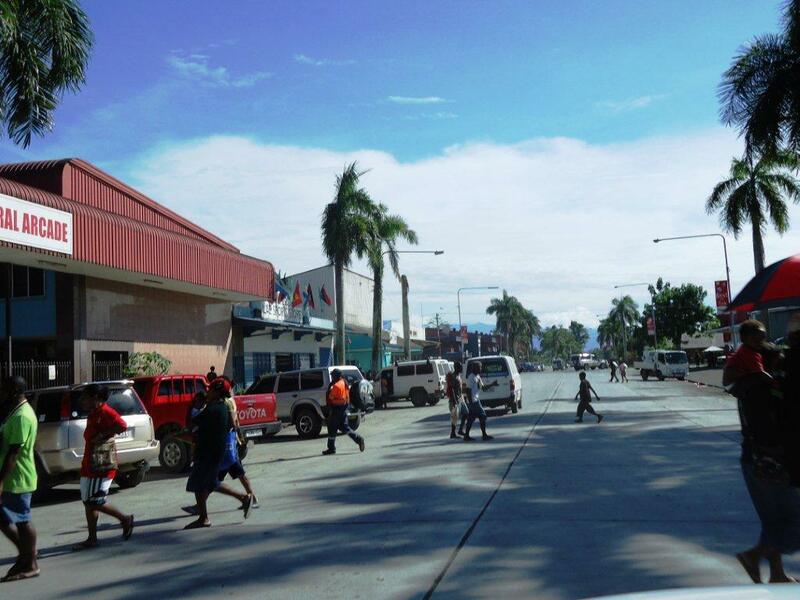 "We understand the Morobe Governor has promised a good relief package to the police. "Now the police headquarters must look at increasing the numbers of police and build up their equipment. "Good business relies on a low crime rate, which is currently at an unacceptable high." •Local authorities must relax fees and license regulations, to make the process simple and effective, so that business can operate in a less-bureaucratic system. We hope and pray for a prosperous and peaceful Lae in 2013 and beyond. 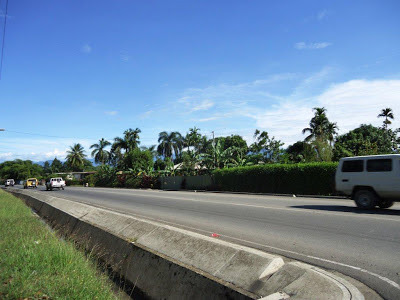 Highlands Pacific managing director John Gooding said on Monday that subject to such discussions and future applications and approvals in 2013/2014, “we believe Frieda’s development could commence mid‐decade with first production later this decade”. 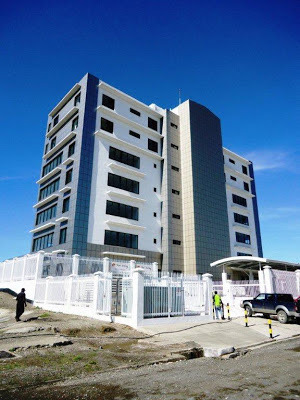 “Frieda is a great project and vital to the future of a growing PNG economy, given Ok Tedi mine’s declining production and the delay anticipated with new emerging projects, like Wafi‐Golpu that are unlikely to be into full production until later next decade,” he said. “Frieda’s upfront capital spend is reflective of a greenfield start up and also of the major depreciation in value of the US dollar in the past 3‐5 years which has seen new projects worldwide increase in US dollar cost terms. “The estimated life of mine C1 (net direct cash cost cash) cost of US111 c/lb of copper is on a par with both current world production and also with new greenfield developments. “Highlands believes the investment case for Frieda is compelling, given that copper remains one of the few global commodities that almost all analysts agree is facing a long term and structural supply deficit and given the flight to gold in the past decade as a safe haven,” he said. “Projects of Frieda’s scale and resource quality are rare due to its low strip ratio, clean concentrate produced and its multi‐decade open pit operation which lowers its risk profile. 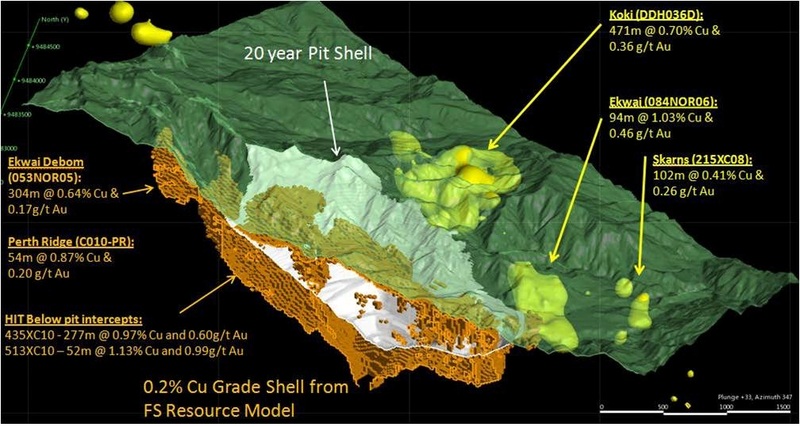 Xstrata Copper has delivered a feasibility study together with the extended 2012 study for the Frieda copper gold project, Papua New Guinea’s largest undeveloped open‐pit copper‐gold project, joint venture partner Highlands Pacific announced on Christmas Eve. The extended 2012 study outlines a project with an estimated initial capital requirement of US$5.6 billion, with a 20‐year open pit mine life capable of producing on average an estimated 304,000 tpa (tonnes per annum) of copper and 451,000 ozpa (ounces per annum) of gold in its first five years and with an estimated life‐of‐mine (LOM) average output of 204,000 tpa of copper and 305,000 ozpa of gold. Potential exists to extend the mine life with deeper drilling. 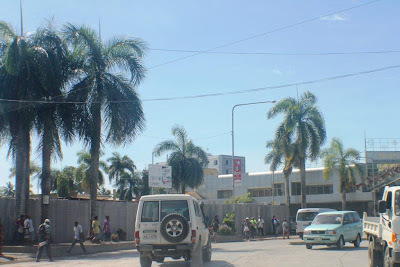 “The estimated project capital expenditure reflects a number of changes since the pre‐feasibility study was released in November 2010, most notably the substitution of a proposed hydro‐electric power‐supply scheme with gas‐generated electricity sourced from PNG’s Stanley gas field 180km away,” Highlands Pacific announced. 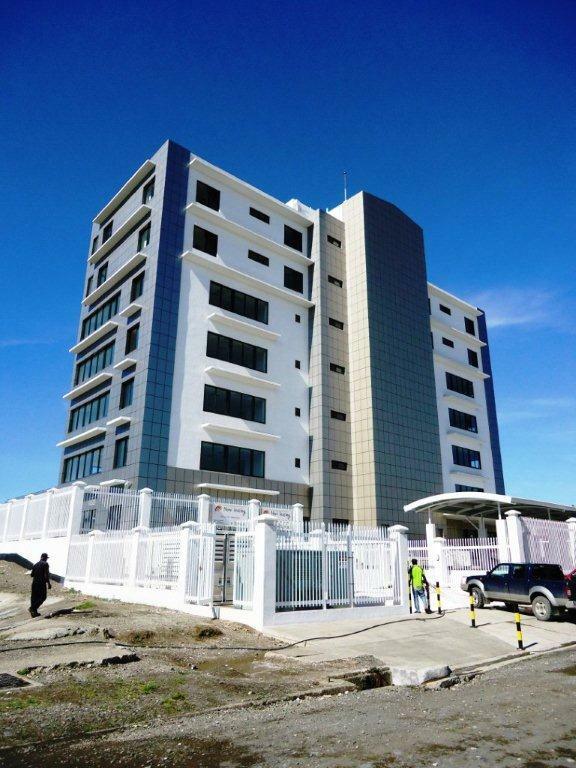 “ The work done by Xstrata Copper and Highlands during 2012 also identified the potential for additional capital savings in relation to waste disposal which will require further work but could reduce the initial capital spend to an estimated US$5 billion. “The information presented in this announcement is based on the documents that have been delivered to Highlands by Xstrata Copper. 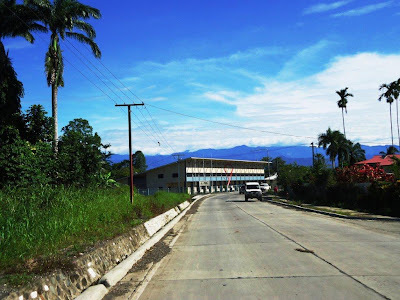 “Xstrata Copper earned 72% in the Frieda Project in January 2012 and a further 9.82% was contingent on delivery of the feasibility study and the extended 2012 study. • Further discussions with government and other stakeholders on the necessary environmental and regulatory approvals. Highlands has been free‐carried on Xstrata Copper’s US$300 million (approximately) investment in the project and continues to be carried in respect of costs incurred through an arrangement whereby Highlands’ share of expenditure from January 2012 to the lodgement of special mining licence (SML) application is to be repaid in the future from project cashflows when Frieda is in production. Xstrata Copper has proposed a work programme and budget of US$20 million for 2013. The Country Party supports the ONeill government's focus on getting the basics right in terms of rural transport, communication and other economic and social infrastructure that will support agriculture and improve majority population livelihood to underpin sustainable development. The party has two MPs and as a signatory to the Alotau Accord, the Country Party has policies that will provide people with own food, affordable locally-produced food, provide income and employment earning opportunities and mitigate poverty and a positive plan to build a stronger society and economy. 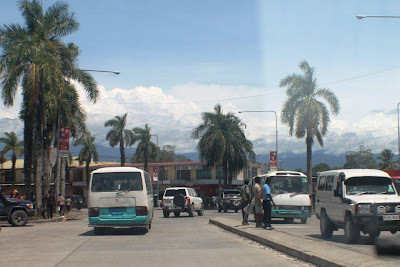 PNG is generally a primary producing country and prior to and after Independence until early 1990s, relied on the agriculture, forestry, fisheries and livestock sectors to develop the country and prop up the economy. We say 97% of land is customary owned and 80% of people rely on that land and agriculture. This is the strength of our society and economy that will provide for the people and reduce the high cost of living pressures that face our working class people and our rural families. This means we have to support agriculture and rural business and the industries that build PNG to where it is today, which many of our political parties do not seem to care about. Our people have been growing kaukau, tapioca, yam, taro, banana and introduced crops and tree crops like coffee, coconut, cocoa, tea , rubber without tax holidays, freight subsidy, import tax and other tax exemptions. We should be supporting our farmers, small entrepreneurs, PMV and trade store owners and our manufacturing industries to provide incentives as well as to lower cost inputs that general public will benefit. Our plan will cater for food security and the wealthy and healthy nation so much used in Vision 2050 and government policies without thinking about its meaning. The Country Party believes that agriculture and rural industries are the heart and soul of the country and so we must always keep the heart beating. Despite National Agriculture Development Programme (NADP) being an official document, this has not been assessed, despite the wrong move to provide grants and unplanned inclusion of grants to all districts without measuring its input and impact. This sector and its contribution to manufacturing will create more jobs and improvement in peoples lifestyle.It is feasible and achievable. Country Party believes that these are priorities PNG must invest in. 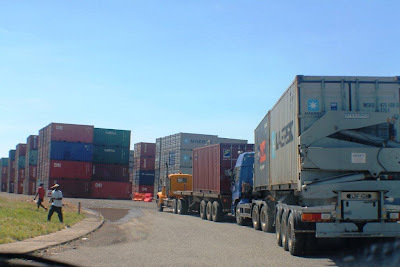 The national budget and policy statements does not mention it but targets the associated and complementing issues of transport and communication infrastructure and small business and loans at NDB. Whether 50, 000 farmers can be granted loans of say K3, 000 in a year remains out of reach due to the stringent application and appraisal process. We need to fix this issue. While that is going on, the Department of Agriculture and Livestock (DAL) and commodity boards and agencies must not wait but develop programmes to connect to the governments initiatives to help the rural sector. We need agriculture and simplified process and access to extension services, accessible and cheaper marketing outlets and markets to change lives of ordinary Papua New Guineans. Nanopatches that can be self-administered – and even put in the post – could transform infectious disease prevention. The "nanopatch" is about a square centimetre in size, it administers a minute, needle-free vaccine dose to a person's skin, dramatically reduces costs and needs neither to be administered by trained medical staff nor to be refrigerated. 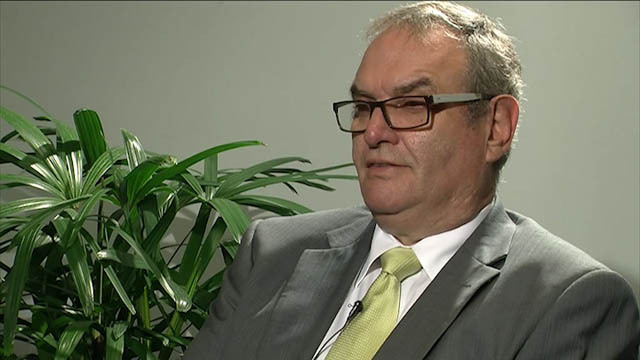 But Professor Mark Kendall, a former Oxford rocket scientist turned bioengineer at the University of Queensland in Australia, is cautious about the prospects for what many are hoping could revolutionise infectious disease prevention in developing countries, where around 17 million people die from avoidable diseases each year. "It has many advantages. It is pain-free, very low cost and could be self-administered. It could be posted to people as it needs no skill to administer. Where [some vaccines] cost $50 (£31) each, this could reduce the cost to $1," he says. The traditional syringe and needle vaccination, which has barely changed since it was invented in 1853, has big disadvantages, he says. It injects the vaccine into the muscle, which has few immune cells; it needs a relatively large shot of vaccine, and it poses problems with needle contamination and disposal. So far, his research team has tested vaccine patches against influenza, human papillomavirus (HPV) and even malaria on mice. "The patch uses an applicator to place a very small dose of vaccine directly on the skin where immune cells are most abundant. We do not understand fully why it works so well [but] we do know it works fantastically well on animals. If we can translate that to humans … it could potentially change the world of vaccinations. But we still have a very long way to go," he says. The great hope is that in the event of a pandemic, these patches could be posted to thousands or even millions of people because they don't need refrigeration and can be self-administered. Kendall has just returned from Papua New Guinea (PNG), which has the highest incidence of HPV – a virus that can lead to cervical cancer, which is a leading cause of death in young women in developing countries. He took three prototypes of the patch and these were given to local healthcare workers to apply to hospital patients. The success of the trials means the team may be able to fasttrack full clinical trials on humans next year, Kendall says. The first would be carried out in his home city of Brisbane, followed up in PNG. Even so, he says, it could take 10 years before the nanopatch is on the market. Kendall, whose team has a three-year research contract with drug company Merck, has been awarded $100,000 by Rolex, specifically to enable poorer countries to take advantage of the development at the same time as wealthier countries. "The natural pattern of a development like this would be to concentrate on developed countries, with developing countries eventually seeing it. The award means we can work on them both in parallel," he says.